The lithium ions within a lithium ion battery (LIB) migrate back and forth between the two electrodes during charging and discharging. The ions travel between the anode and the cathode via a separator by an electrolyte commonly composed a lithium salt (e.g. LiPF6) in an organic solvent. The electrolyte solution plays a critical role within LIBs by enabling an effective conduction of the lithium ions between the electrodes. Additives are commonly added into the electrolyte solution to improve performance, enhance stability, prevent solution degradation and prevent dendritic lithium formation. The prevention of dendritic lithium formation is key to achieving battery safety as the lithium dendrites establish a connection between the electrodes, causing the battery to overheat and become a potential fire hazard. The electrolytes and their additives are commonly used in LIBs to identify the current density, stability and the reliability of the final battery. The properties of the electrolyte are therefore critical to the overall performance of the battery. Electrolytes must possess a good ionic conductivity and be electrically insulating, they should have a wide electrochemical window, they must be inert to other battery components and they must be chemically and thermally stable. In addition, electrolytes of a high purity (free from contamination) help to prevent oxidation at the electrode and promote a good cycle life. Figure 1. Schematic diagram of a lithium ion battery (LIB). The electrolyte requires the ability to form a stable solution with lithium ions and be able to pass through the separator with ease. Charge separations occur at the separator-electrolyte interface causing an electro-kinetic phenomenon that either impedes or aids the transportation of the electrolyte across the separator. The electro-kinetic potential caused by this phenomenon is termed the zeta potential. Zeta potential describes the electrokinetic potential in colloidal dispersions and is the potential difference between the dispersion medium and the stationary fluid attached to a dispersed particle. Zeta potential corresponds to the energy required to detach the particle and its inner layer of counter-ions from the bulk. Zeta potential is the measurement of the electrostatic repulsion between particles and can indicate surface charges, electrolyte stability, interactions between battery components and the overall stability of the battery system. A large zeta potential, regardless of whether it is positive or negative, can help researchers to identify which components will work well together within the battery, thus, reducing the time and cost of testing and ensuring that the final battery is stable. Zeta potentials are usually measured using electrophoresis, where electrodes are inserted into the suspension and a voltage is applied, upon which the charged particles migrate to the electrode with opposite charge. Light scattering techniques are commonly used to quantify the zeta potential-dependent electrophoretic mobility, or the velocity of the particles. By measuring the electrophoretic mobility, it enables the zeta potential of the particle(s) to be deduced using the Henry or Van Smolukoski equations. However, non-aqueous solutions present a challenging environment for zeta potential measurements due to low particle mobilities, so highly sensitive and accurate analysis equipment is required to measure battery components. 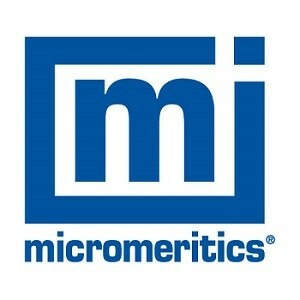 Micrometrics offers the NanoPlus HD instrument, which is a zeta potential analyser that provides outstanding performance, sensitivity, a compact benchtop footprint, and intuitive software, making the instrument of choice for measuring the zeta potential of a wide range of materials. 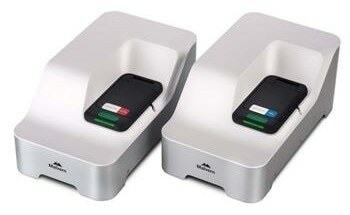 The NanoPlus HD utilises dynamic light scattering (DLS) and electrophoretic light scattering (ELS) techniques to measure the particle size, zeta potential and molecular weight of materials. The NanoPlus HD also offers highly accurate measurements for concentrated solutions, based on the true determination of electrophoretic mobility. This makes the NanoPlus HD an ideal instrument for measuring the zeta potential of battery components in electrolyte solutions using a wide range of measuring cells, including a unique cell for flat surface and membrane research. Researchers who are developing new materials for LIB applications require access to instrumentation that can quickly and accurately assess properties, such as zeta potential, to help them make an informed decision about which components will work well together and be stable within a battery system. The NanoPlus HD zeta potential analyser from Micrometrics is the ideal solution to the meet needs and demands of researchers who are developing the next generation of batteries. http://www.micromeritics.com/Repository/Files/battery_brochure_2016_v2.pdf Accessed August 14th, 2017. Zhang SS ‘A review on electrolyte additives for lithium-ion batteries’ Journal of Power Sources, 165:1379-1394, 2006. Li Q, Chen J, Fan L, Kong X Lu Y, ‘Progress in electrolytes for rechargeable Li-based batteries and beyond’ Green Energy & Environment 1(1):18-42, 2016. Li J, Armstrong BL, Kiggans J, Daniel C, Wood DL, ‘Optimization of LiFePO4 Nanoparticle Suspensions with Polyethyleneimine for Aqueous Processing’ Langmuir 28(8):3783-3790, 2012. Li J, Armstrong BL, Kiggans J, Daniel C, Wood DL, ‘Lithium Ion Cell Performance Enhancement Using Aqueous LiFePO4 Cathode Dispersions and Polyethyleneimine Dispersant’ Journal of The Electrochemical Society 160(2):A201-A206, 2013. Bhattacharjee S ‘DLS and zeta potential – What they are and what they are not?’ Journal of Controlled Release 235(10):337-351, 2016.
https://www.azom.com/article.aspx?ArticleID=935 Accessed August 14th, 2017.